Keep your pets having healthier and longer lives through a proper diet. The proper diet and nutrition can bolster your pet’s teeth, bone, brain function, skin, hair, digestive, and immune system. It likewise gives your pet the capacity to keep up muscle tone, perform typical every day activities easily, and fight infection. During your pet’s wellness exam, our veterinarians will assess your pet’s body condition as it relates to diet. We will recommend the right serving size for your pet’s ideal body weight and dietary needs. We can also recommend the food that is best for your pets. With the large number of brands, foods, and snacks, it can be difficult choosing the best type of nutrition for your pet. 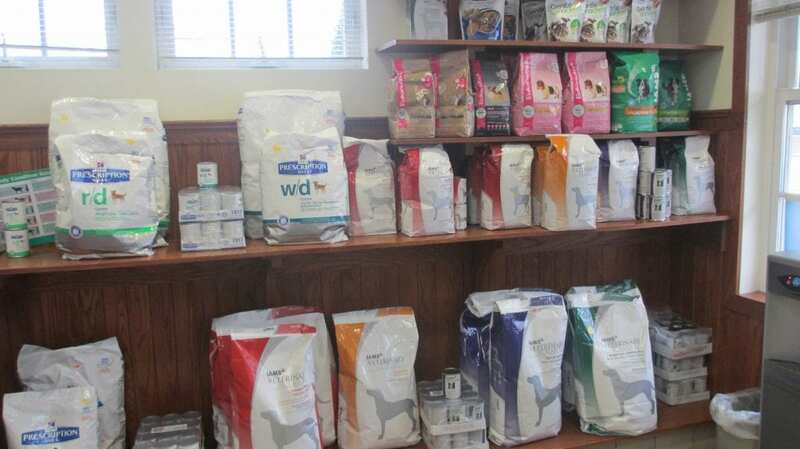 To make it easier, we have a full stock of our veterinarian recommended food and treats for your pet.